Check out some of our Products on Sale! MAC Professional Chef Knife: 8-in. Kramer Meiji Chef’s Knife: 8-in. Wusthof Classic Hard Cheese Knife: 4.75-in. 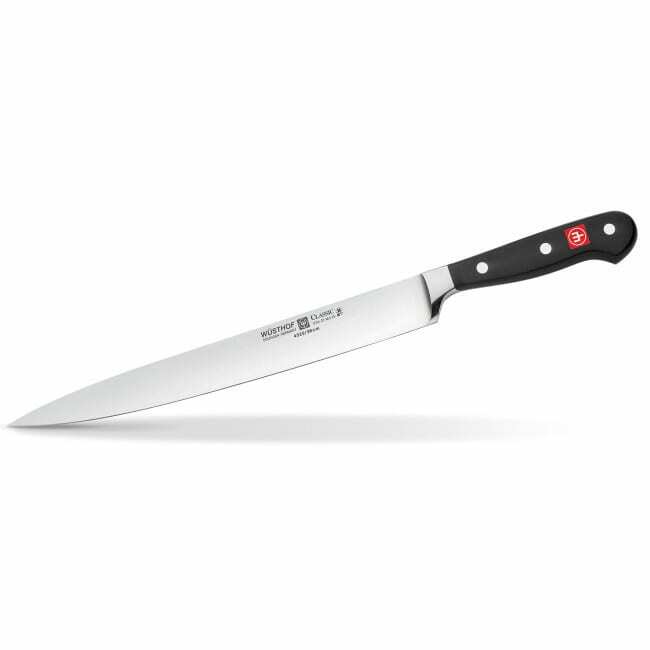 Wusthof Classic Ikon Chef’s Knife: 8-in. Victorinox Sharpening Steel Combination Cut: 10-in. Dexter Narrow Curved Boning Knife: 6-in. Zwilling J.A. Henckels Bob Kramer Carbon Steel Santoku Knife: 7-in. Dexter Scalloped Offset Sandwich Knife: 8-in. Sakai Takayuki VG10 Hammered Damascus Kengata Gyuto: 7.5-in. Wusthof Classic Slicing Knife: 10-in.